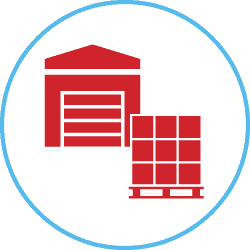 If you think one Third Party Logistics (3PL) provider is the same as another, meet Red Stag Fulfillment. We’re so dedicated to 3PL warehousing and fulfillment perfection that we pay you if we make a mistake. If you're tired of tearing your hair out over 3PL fulfillment mishaps, let us show you why Red Stag Fulfillment’s dedication and services are a cut above the rest. It’s possible that your business has felt the pitfalls of another 3PL warehouse: delays logging inventory, lost items, shrinkage, lack of visibility. Red Stag turns the tables on the downsides of 3rd Party Logistics services. Your stock won't sit lonely on a loading dock. Our seamless interface allows you to stay on top of your inventory and reorder levels. At our 3PL warehouse, shrinkage is not part of our vocabulary. If one of your items is lost or broken while in our care, we reimburse you, no questions asked. Within 48 hours of your inventory arriving at our warehouse, we’ll have accurately processed every individual piece into the live inventory picking shelves. We’re the only 3PL Warehouse to operate with 0% shrinkage allowance. We don’t believe you should suffer a loss from lost or damaged inventory. Our web-based Warehouse Management System (WMS) gives you unprecedented visibility into the movement of your inventory, all updated in real time. Kitting, light assembly, marketing inserts, and other unique value-adding services are crucial processes carried out by your 3PL Warehouse. There's nothing worse than a late order or an incorrect package. These mistakes cost your Ecommerce business money. If they're not handled correctly, they can cost you customers as well. That’s why Red Stag guarantees the highest-level 3PL fulfillment services in the industry. After all, the fulfillment of your online orders is the core of our operations. 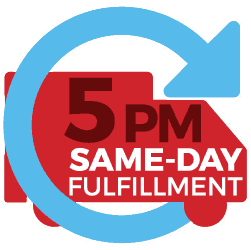 We guarantee same-day fulfillment with perfect accuracy on every order. If we ever make a mistake, we pay you $50 on the spot. 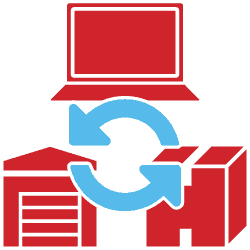 Our software connect with your online store via API to ensure a seamless, automated fulfillment process. No emailing or uploading orders, our system is designed to make 3PL fulfillment an effortless and accurate process for our clients. All orders are picked, packed, and shipped out the same day, with as late as a 5 pm order cut-off. That means even if your order volume surges at 4:59pm, Red Stag Fulfillment stands ready to fulfill your orders in a matter of hours, so your customers have a “Your Order Has Shipped!” email in their inbox before they go to bed. 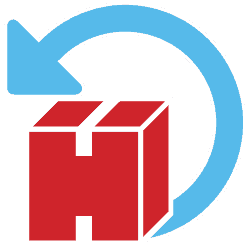 Returns, or reverse logistics, are a reality of doing business online. At Red Stag Fulfillment, we turn your online store’s returns into a positive experience for you and your customer by quickly processing returned shipments to ensure that your customers receive their refund as quickly as possible. Even after your customers’ orders have shipped, the job of your 3PL is far from over. 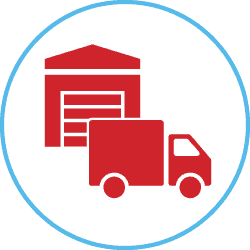 Tracking information must immediately be updated from the carrier so that your customers can monitor their shipment and you can ensure a successful delivery. Whether you’re shipping domestically or internationally, your 3PL should also provide the added benefit of discounted shipping rates, while optimizing your parcels to help you avoid the adverse impact of Dimensional Weight Pricing. 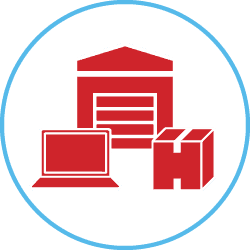 Simply put, we're a third party fulfillment provider that approaches things a little differently. Our business is being the successful extension of your business. If your business is growing and you need a trusted 3rd party logistics company, or if you're tired of putting out fires with your current 3PL service, we invite you to try our services, risk-free, for 30-Days. Let's succeed together.